Super Eagles head coach, Gernot Rohr, is seriously considering playing Ahmed Musa in as a false nine when they face South Africa in a 2019 Africa Cup of Nations qualifier on Saturday. Rohr will be without top scorer Odion Ighalo, who is sidelined due to a hamstring injury. And although with the options of Victor Osimhen and Isaac Success available, the Franco-German is keen on using Musa’s pace in running behind the Bafana Bafana’s defence line. The Al Nassr winger has impressed in training playing in the position and looks set to start up front. 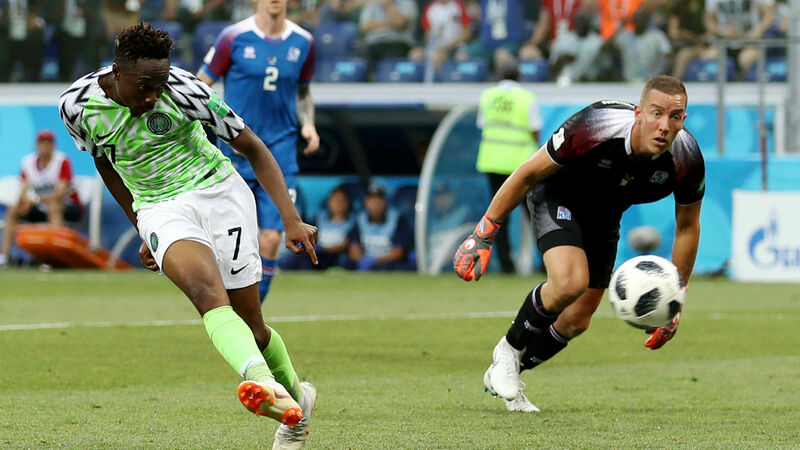 The option of playing Success upfront is still being considered but for now, Rohr is pinning on using the pace of his forwards in Samuel Kalu, Ahmed Musa and Alex Iwobi in a 4-3-3 formation against South Africa at the FNB Stadium in Johannesburg.